Polo Club Wassenaar has been founded on the Duindigt Estate in 1992, with the objective to put polo in the Netherlands on the map. This means our club is the oldest poloclub in The Netherlands as well as the heart of Dutch polo. During the past 30 years the club has focussed on young and upcoming players and nearly all Dutch players have learned to play the game as a member of our club. 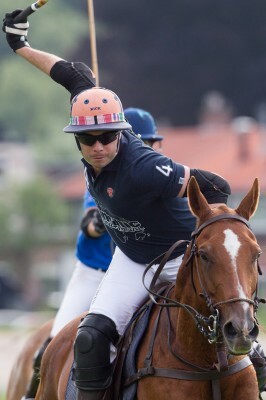 The club has produced a number of important teams and the young players of Polo Club Wassenaar have always made up the core of the Dutch national teams. They have succesfully represented The Netherlands in various European championships over the past 30 years. Hollands two top players are member of our club, and are available to help you to understand the basics of the game and give you advise on all aspects of the sport of Polo. We are proud of our accomplishments over the past 20 years and this motivates us to continue our efforts of improving the game of Polo in The Netherlands and make the sport available to a wide range of enthousiasts. We hope to welcome you in the near future, either on the field, along the sidelines or in our clubhouse.